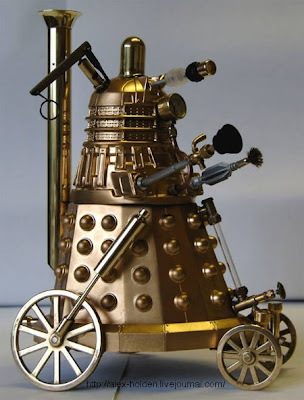 Here is Dalek in steampunk style. For those who don't know... Dalek's are robots who want to destroy human race. they are known from TV serial "Dr Who". Can you imagine how comic hero from alternative victorian future might look like? 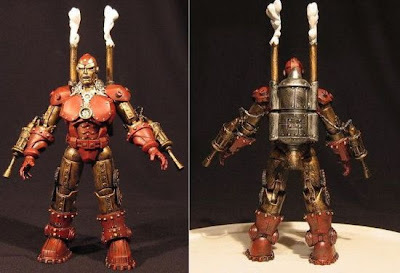 More photos of robots in steampunk style here.